A troubled past as a country coveted by the Ottoman Empire, Venice, and Yugoslavia has left Croatia with a rich cultural heritage whose influence can be seen in the country’s architecture and cuisine. 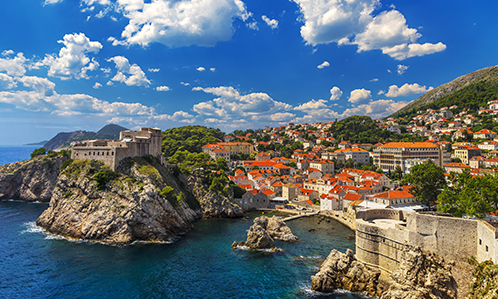 In the cities of Zagreb and Dubrovnik you’ll be entranced by museums and the lively atmosphere at the always‑busy cafés, while on islands in the Adriatic Sea you’ll find delightful gastronomy in restaurants whose terraces overlook beaches with turquoise waters. 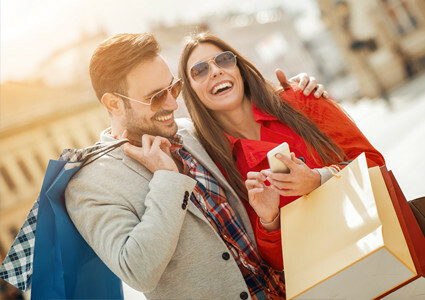 To make sure that you don’t miss anything, our Travel Professionals have compiled their favorites to help you get ready for your vacation in Croatia. As a buffer region between the Balkans and central Europe, Croatia has been coveted by many empires and republics over the course of its history. This turbulent past has left it with a rich, unique cultural heritage. You’ll notice that the architecture of the Venetian buildings and Slavic churches reveals the huge influence Italy and Hungary have had on Croatia. For those curious, the captivating museums of Zagreb will teach you more about the subject. You’ll find two distinct vibes in Croatia depending on whether you’re inland or close to the coast. 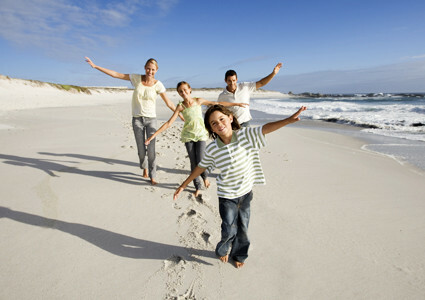 Families have fun on the beaches, partiers enjoy the nightlife, and tourists flock en masse to the islands. Meanwhile, lovers of the outdoors will find what they’re looking for in the various hikes and athletic activities offered by the farmlands, caves, and lakes further inland. 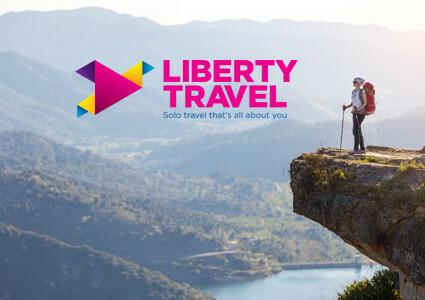 It’s important to buy travel insurance no matter what, but especially if you’re planning a trip full of physical activity. Croatia features thousands of islands and islets, each with its own charm. Luxury and chic attire are the rule on Hvar, while Korčula saw the birth of Marco Polo and boasts an impressive cultural heritage. There’s the island of Pag for partying, Brač for getting some exercise, Mljet and its salt lake, and Vis for cuisine—and we haven’t even mentioned Cres, Rab, or Lošinj yet! 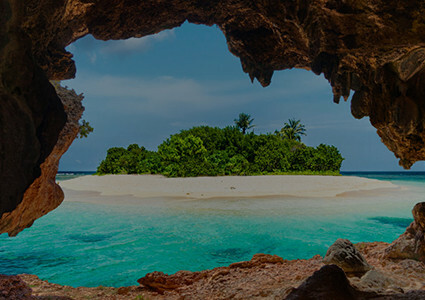 Ask your Travel Professional which islands best fit what you’re looking for. 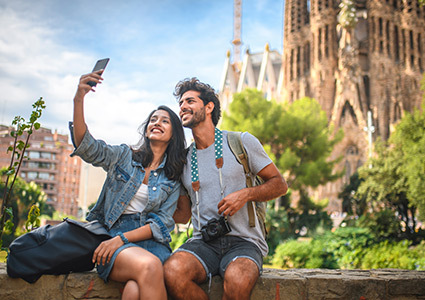 Explore the country as part of a cruise on a stop with Viking River Cruises, or from the Mediterranean coastline with Norwegian Cruise Line or Azamara Club Cruises. You can also see it on a luxury yacht getaway with Emerald Waterways. 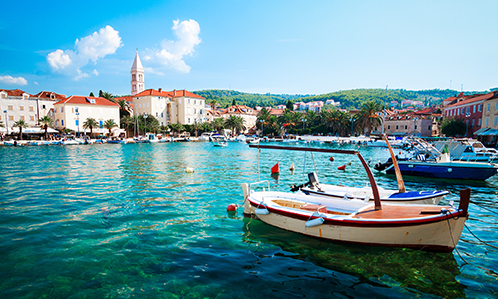 Transat also offers multi-city packages, so you can visit all of Croatia’s highlights. If you prefer a guided, Collette Vacations, and G Adventures all offer group tours. There are plenty of ways to explore Croatia! 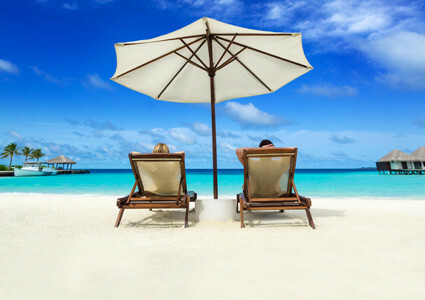 Your Travel Professional can easily create a travel package for you customized to your tastes. Much more than a seaside resort, Croatia is a fascinating mix of architecture, culture, and natural parks. With the help of your Travel Professional, prepare yourself for an unforgettable trip. Zagreb is often snubbed by tourists, but it will unveil surprising secrets to those who take the time to visit. Wander around historical neighborhoods and visit quirky museums before taking a break in one of the city’s many cafés. Plenty of green spaces plus a mix of grandiose architecture and socialist aesthetics make the Croatian capital a unique place. The official language of Croatia is Croatian, sometimes erroneously called Serbo‑Croatian. Italian and German are also frequently spoken in certain regions. Don’t worry, English is widespread in the tourist sector and you’ll have no problems communicating in it. In July and August, the Adriatic Sea reaches almost 26 °C and the beach resorts are busy. The best time to visit Croatia is in May, June, or September, when there are fewer tourists and the sea is warm enough for a swim. Croatia has two very different climates. Inland, winters are cold and temperatures regularly drop below 0 °C. Summers are dry with occasional evening thunderstorms. The coast, on the other hand, has a Mediterranean climate: mild winters and dry summers where temperatures can climb to 30 °C. Although Croatia is a member of the European Union, it uses its own currency: the kuna, which is divided into 100 lipa. Credit cards are accepted in most hotels and restaurants, but there’s usually a 5% fee for using them. Shops, small restaurants, and bed and breakfasts often accept only cash. To make your life simpler, reserve and plan your trip ahead of time with the help of a travel agent. Electric current in Croatia runs at 230 volts and plugs have two round pins. Don’t forget to pack an adaptor in your suitcase! You can call all over the world from Croatia. Internet and Wi‑Fi are widespread and often free in hotels, restaurants, and some public areas. Many flights leave from Canada to Zagreb, an excellent starting point for exploring Croatia. Croatia has four distinct seasons, so the contents of your suitcase will depend greatly on when you visit. In summer, bring versatile, comfortable clothing that you can wear to the beach or on a hike, plus a sweater for cool evenings. In winter, you’ll need pants and coats, as snow is not uncommon. Croatians tend to dress stylishly for a night out at a restaurant or theater. Croatian cuisine showcases local ingredients in dishes with foreign influences. Ottoman and Mediterranean flavors are to be found. Meat dishes take pride of place in the inland parts of the country, while fish and seafood are more often served on the islands and the Dalmatian coast. Crni rižot: This unique risotto is completely black thanks to being cooked in squid ink. Striking, but more importantly: delicious! Pag cheese: Produced on the island of the same name, this hard cheese is made from sheep’s milk and served as an appetizer. Smoked ham: Smoked ham is served as an appetizer all over Croatia. Pašticada: Beef marinated and stewed for a long time in wine, often accompanied by potato gnocchi. Squid: Don’t leave without trying this Croatian standard! Grilled or fried, they’re freshly caught and delicious. Soparnik: A filling of vegetables—often beets, onions, and parsley—between two thin layers of flaky pastry. Octopus salad: A cold salad of octopus dressed with tomatoes, onions, capers, and extra‑virgin olive oil. A refreshing bite for days by the sea. Štrukli: This Zagreb specialty is made of pastry stuffed with cottage cheese and sour cream. Arambaši: Chopped pork or beef rolled between pickled cabbage leaves. Čevapi sandwich: For a meal on the go, this sandwich of chopped pork or beef is one of the country’s classics. It’s served with onions or cheese, according to your taste. Coffee: Taking the time to enjoy a cup of coffee is practically a ritual for Croatians. Their coffees are as delicious as any you’ll find in Italy. Biska: A spirit made from European mistletoe, served as an aperitif. Medica: A spirit made from honey, also served as an aperitif. Istrian wines: The region produces some excellent wines, including žlahtina, a great companion for seafood. 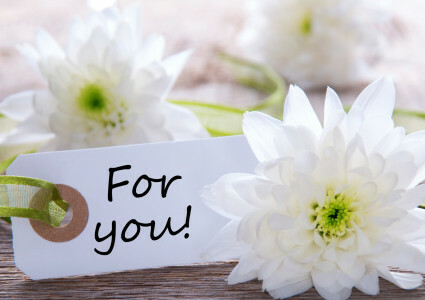 Although people don’t leave tips per se, it’s common to round up the check in restaurants and cafés. Necktie – Did you know that these were invented in Croatia? Pag lace – If you can’t bring back cheese, the town also produces lovely decorative lace. 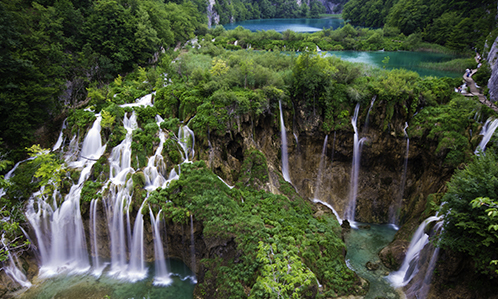 Plitvice is undoubtedly the best-preserved treasure in all of Croatia. The park, a UNESCO World Heritage Site, contains 16 lakes whose crystal-clear waters are linked by waterfalls and cascades, each more spectacular than the last. There are 92 waterfalls altogether. It’s a real pleasure to walk along the park’s trails and wooden bridges in cool weather and discover these magnificent waterfalls, where every turn brings a dazzling new sight. On the Adriatic coast, between blue sky and turquoise sea, you can admire two beautiful works of outdoor art. Here you will find “Sun Salutation,” a work best seen at night, when its 300 illuminated glass plates come alive to light up the waterfront. You can also listen to an amazing symphony coming from the hydraulic organ located nearby, where waves lapping under the steps of the boardwalk create a lovely musical experience. The notes get softer or louder depending on the strength of the waves. This amazing natural phenomenon is best heard and appreciated during a stunning sunset. Sometimes travel isn’t just about visiting a place, but also the journey to get there. As part of your journey, why not take the opportunity for a bus trip? The sinuous route between Sibenik and Trogir offers marvelous scenery in the form of coastal villages that call to mind Greek islands. Korčula is one of the Mediterranean’s best-preserved medieval villages. Malta springs to mind as you explore Korčula’s narrow streets, palm trees, waterfronts, and magnificent churches and medieval palaces. This Zen-like part of the country is a great place to unwind. 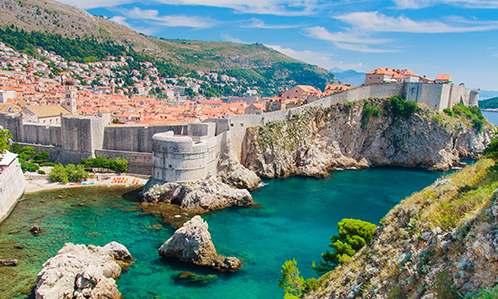 Rightfully considered the “Pearl of the Adriatic,” the medieval city of Dubrovnik is a UNESCO World Heritage Site. Make sure to take the cable car up Mount Srd to enjoy a spectacular view of the city and the surrounding area. Once you’re back in the old town, don’t miss out on climbing the surrounding walls and taking a walk around. If you’re a photography lover, it’s a real treat to find yourself above the marina and the citadel. The political and cultural heart of the country, the capital of Croatia has all the usual hallmarks of a central European town. Old trams on iron wheels and apartment buildings with cement facades bring us back to the old Communist Yugoslavia of the 1950s‑1990s. Don’t forget to visit the charming St. Mark’s Church. Its tiled roof is represented on the country’s coat of arms! For authenticity seekers, a jaunt to the countryside is in order. That’s the best way to discover the unique vibe and ambiance to be found there, along with seeing some beautiful country houses. If you want to taste Croatia, nothing is better than farmhouse eating! Croatia contains several Roman sites, but one of the most impressive is without a doubt the Pula Arena. Built during the reign of Emperor Augustus in the first century, it was the site of quite a few gladiator fights. You can still visit it today and watch a show or even see a film! Located between Split and Zadar, Krka National Park spreads out over more than 109 square kilometers. It covers part of the Krka river, Visovačko jezero lake, and a number of waterfalls, including the gorgeous Skradinski Buk! Plan to arrive early for a little more peace and quiet so you can admire the scenery at your leisure! 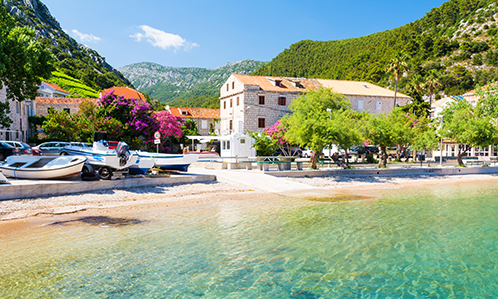 If you’re looking for more of a seaside atmosphere, the largest island in central Dalmatia, Brač, gives you a fantastic setting to recharge your batteries. The island is well‑preserved to this day. Cyclists can easily tour it on two wheels, as it’s only 40 km long and 12 km wide. Beautiful walking tours are also available to let you take in the famous white‑stone villages. Did you know that the White House may have been partially constructed out of stone from Brač? You can also try various water sports, including windsurfing, kitesurfing, and scuba diving.